If you’re a fan of old school games but want to enjoy them without the hassle of cords and wires, today you’ll finally be able to get the best of both worlds. 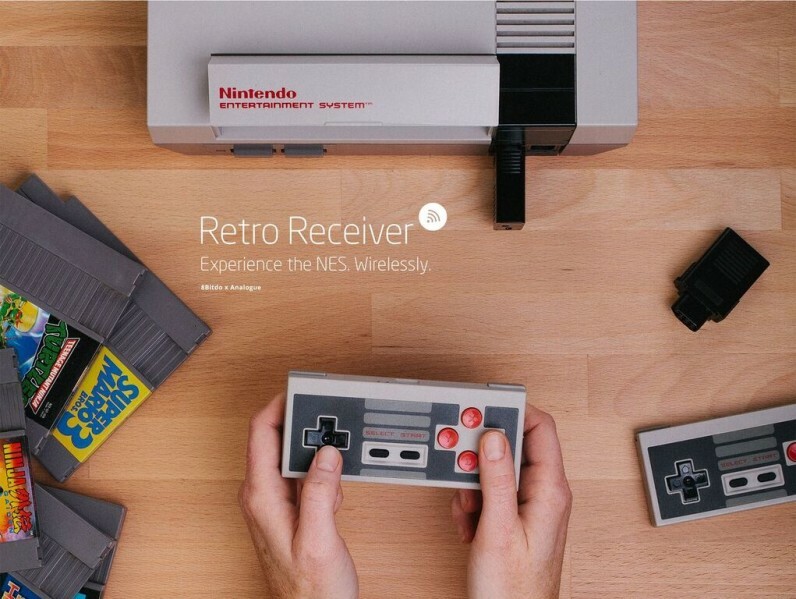 Analogue, maker of the revamped NES and most recently a 24-karat gold version, has collaborated with 8BitDo to create a receiver that connects a wireless controller to your classic NES. You’ll need both the Retro Receiver and a controller from 8BitDo to take advantage, but it does offer quite a nice array of controllers – from classic NES, to pocket-sized, to arcade stick-styles. If you don’t want to buy a controller from 8BitDo, the receiver also lets you pair up next-gen controllers with the NES, like the Wiimotes, PS3, and PS4. Each receiver costs $20 and can connect up to four players per dongle. Seems like a legit deal for never having to fuss with cords again while trying to get your Contra on. Retro Receiver is available today.